The DS-U2-IP satellites was a Soviet ionospheric research satellite launched as part of the Dnepropetrovsk Sputnik program. The spacecraft studied ion and electron concentrations, ion chemical composition, and absorption of solar ultraviolet radiation in the atmosphere. Energetic-particle fluxes, related to the outer radiation belt and the “soft”-electron flow, were measured. 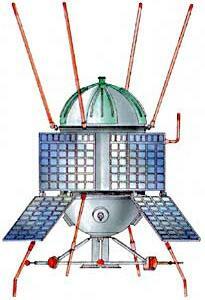 The only satellite of this type, Kosmos 378 was launched on 17 November 1970 on a Kosmos-3M booster from Plesetsk. It completed operations on 13 September 1971 and decayed from orbit and reentered the atmosphere on 17 August 1972.